Kunstlinie Almere Flevoland – Schouwburg Theater is the place to go when looking for the Arts in Almere. Everything from comedy shows, to musical concerts & Shakespearean theater has a place inside KAF. With 3 theaters seating up to 1500 people, Schouwburg can host all but the largest acts and shows without the need to go to Amsterdam. 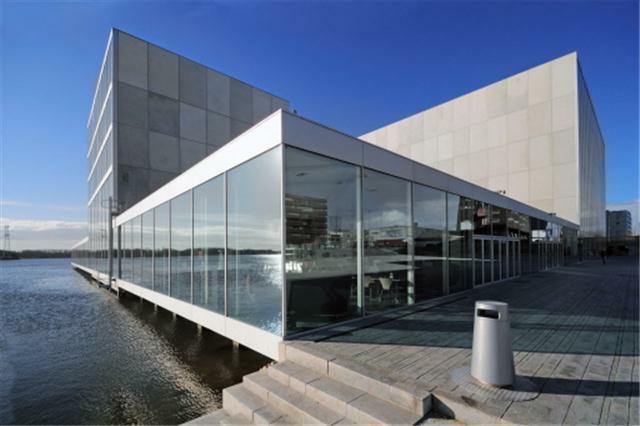 The theater in Almere was designed by architects Kazuyo Sejima and Ryue Nishizawa. Immediately apparent are its simple, straight lines. Three theaters await you with the largest hall holding 1000 spectators and the smallest around 150. Among the shows you can find at Schouwburg are comedy nights, plays, concerts, shows, quartets, poets and a variety of other creative minds. Schouwburg has a cafe and bar so you can enjoy some food and drinks at intermission and after the show. 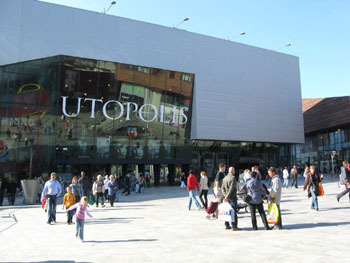 Utopolis Almere is a movie theater in Almere which is open every day of the week. The theater is wheelchair accessible, has air conditioning and shows 3D movies. The cinema has eight screens and always shows the newest movies. There are also regularly theme nights and movie marathons scattered through the year. Located in the heart of the Forum, Utopolis is situated amongst the many eateries that inhabit the Forum.